What are the best train games on PC? There’s something very appealing about the prospect of building and operating your own network of railroads, whether it’s the logistics of mapping and routing tracks, or the desire to rub elbows with Vanderbilt and Stanford, some of the greatest railway tycoons in history. Running a railroad company is a stressful, but lucrative endeavor that can make or break even the best business minds – it’s also a lot of fun. When it comes to train games on the PC, prospective barons have no shortage of options. Railroad management is a decades-old genre with roots in the early 1980s, and its history is rich with classics and modern masterpieces. Not every one of them is a big, sprawling, complex business management simulation, either. Sure, those exist for those of us who want to flex their tycoon-y muscles, but sometimes it’s nice to just sit down with a toy box of trains and let your imagination run wild. This list covers nine of the best train games available on PC. It runs the gamut from hyper-realistic sims to quick-play puzzlers, so every would-be railway engineer is sure to find something to suit their tastes. The first Railroad Tycoon game, released in 1990, is credited for founding the railroad management genre. The brainchild of game design legend Sid Meier, Railroad Tycoon gave you the stovepipe hat of a burgeoning mogul and made you responsible for managing the major aspects of a growing rail empire in the early-to-mid 1800s. Using a starting capital of $1 million, you build stations, lay track, set cargo prices, buy new engines, and grow your network. For as revolutionary as it was, there were a few rough edges that were largely sanded down by its 1998 sequel. Railroad Tycoon II takes what was great about its predecessor and expands on it in every way. For instance, rather than just one century, it covers the entire history of railroads, from inception to the present day. There are many different scenarios, each with their own goals and rewards, and you can buy and operate more than 50 different types of locomotive engines. Railroad Tycoon II set the bar for the train management genre and remains a benchmark for quality even today. 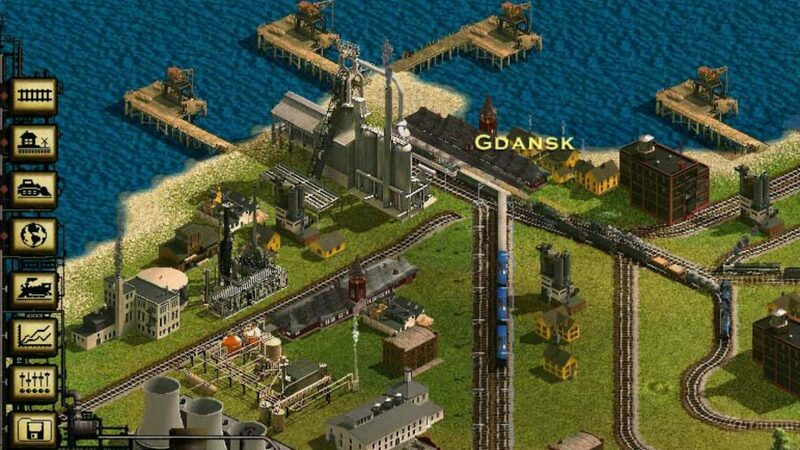 If you prefer old games with grid views to 3D graphics then this is the Railroad tycoon for you. 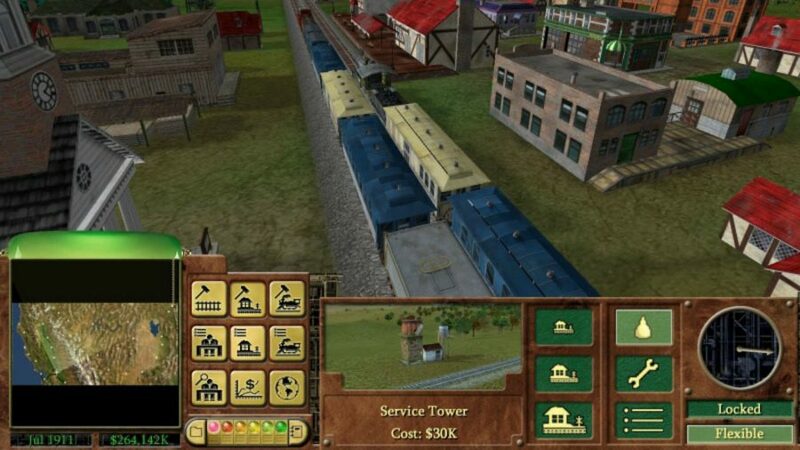 In 2003, the Railroad Tycoon series stepped into the modern age. The third entry in the franchise saw a change to 3D graphics, dropping the grid-based track building of the previous games. It also upped the number of available locomotives to 60, the most in any Railroad Tycoon game. A complete economic rework rounds out the major changes, making this one of the best strategy games for train enthusiasts. A few quality-of-life changes over its predecessor make Railroad Tycoon 3 an overall smoother experience, too. Being able to set trains to automatically load the most profitable and in-demand cargo reduces the amount of micromanagement you need to do, and the overworld button makes it easy to see where in your network to deliver certain goods for maximum profit. In all, this is the Railroad Tycoon formula in its shiniest, most polished form. 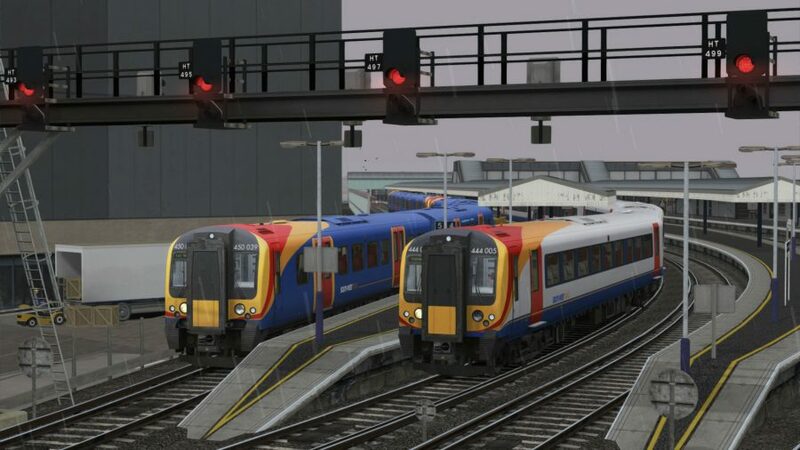 Established in 2009, the Train Simulator series tasks players with operating trains from the inside. If you don’t like the wide, zoomed-out view of railroad management games, then Train Simulator is the antidote. You’ll sit in the cabin of a locomotive, pulling levers and turning knobs in a first-person perspective. It’s a deliberate, meticulous experience that wildly diverges from the business management-focused approach of Railroad Tycoon or Railway Empire. 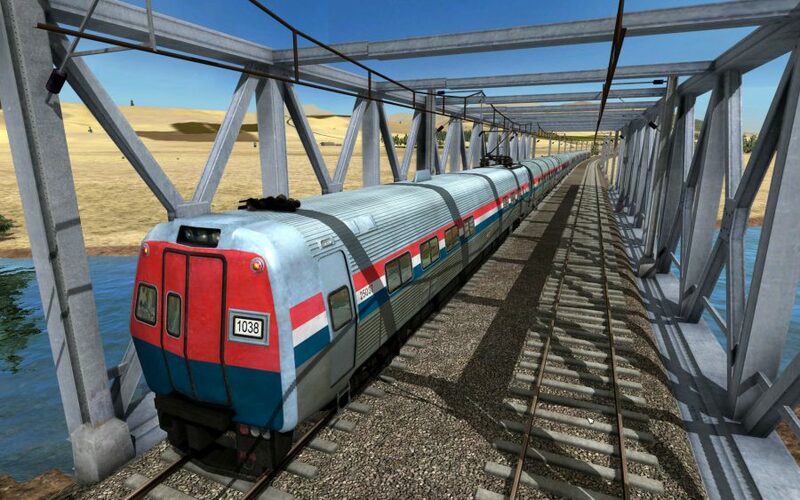 The Train Simulator community is an active one, and developer Dovetail Games is constantly updating the game with new trains, routes, and challenges. 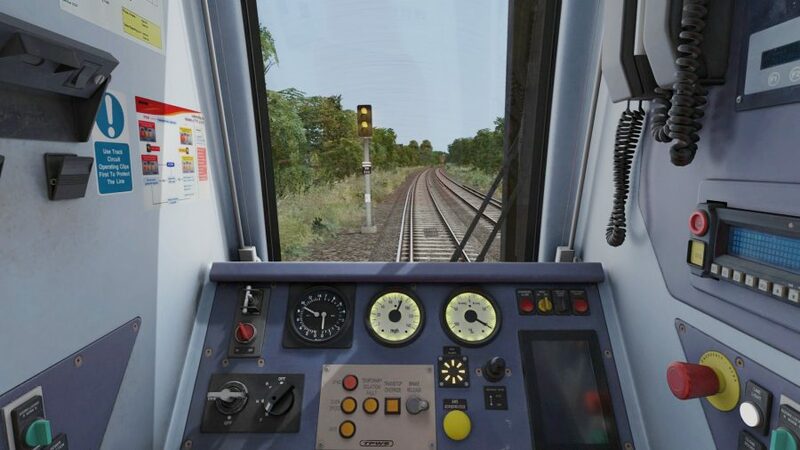 If you’re looking for a change of perspective, fancy yourself a crack engineer, or just want to drive some trains, step into the cabin of Train Simulator. 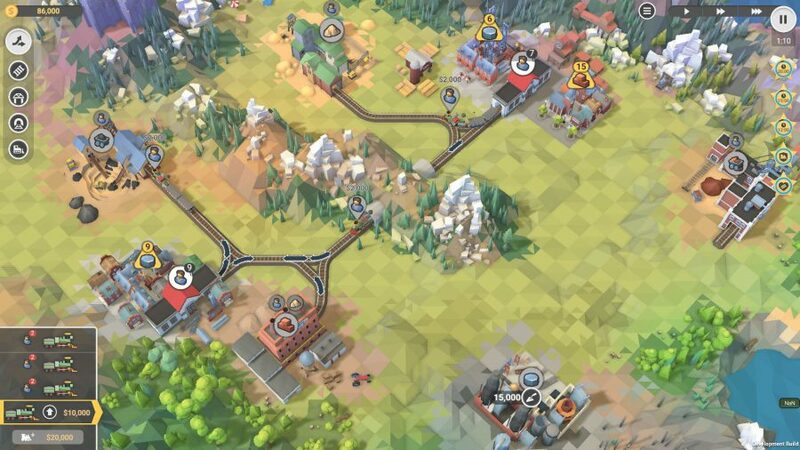 Train Fever looks beyond the rails and tasks players with establishing a transport empire. In addition to building train routes and stations, you’ll need to manage the transport of goods from mines, forests, farms, and more. You’ll also need to build city roads to ensure carriages containing those goods can reach your stations. It can be a bit like spinning plates, but players who can overcome Train Fever’s steep learning curve will find a hugely satisfying PC simulation game. Don’t let Mini Metro’s minimalistic aesthetic fool you. This is a fiendishly difficult network building puzzler that requires quick thinking and even quicker reflexes. Stations are represented by simple nodes and your job is to help passengers reach their destination efficiently. 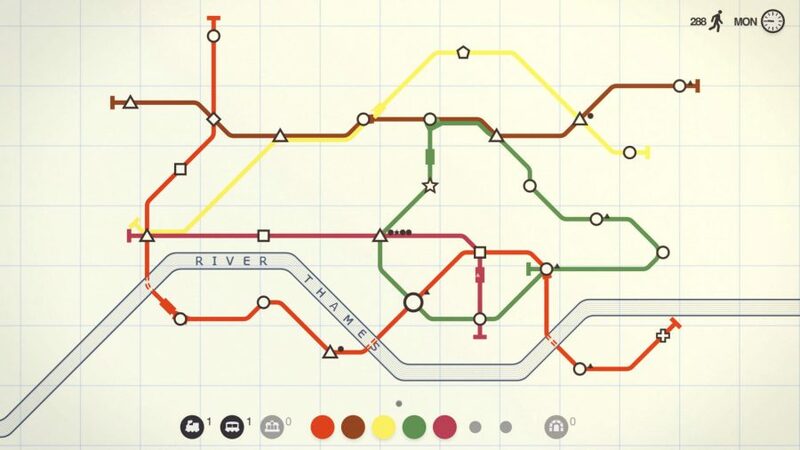 Optimal route building is the name of the game in Mini Metro, as your network will grow fairly quickly. Luckily, you’ll earn upgrades over time that help you in that regard, such as tunnels or higher-capacity stations. In many ways, Mini Metro is a lot like Train Valley. The distinct ‘metro map’ art style and the upgradable network, however, make this game different enough that it’s worth checking out even if you’ve played the latter. Not every train game on PC is an in-depth and complicated management sim. Take Train Valley, for instance. 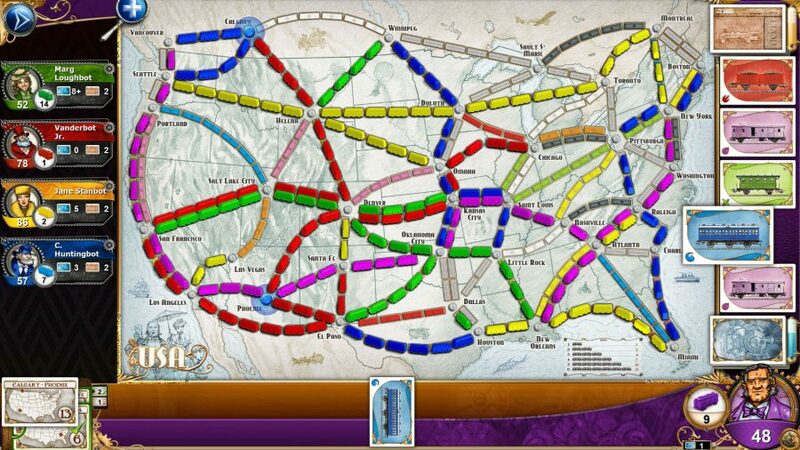 In this delightful puzzler, you must direct trains of various types to matching stations by laying track on the fly. Connect a train to the wrong station and you’ll lose points. Because each level is small and self-contained, Train Valley is ideal for shorter play sessions, and a ranking system offers incentive to revisit past challenges. The first Train Valley is superb, but Train Valley 2 changes up the formula by adding supply and demand into the mix. Different stations provide various goods that may be in demand elsewhere, so the order in which you connect stations suddenly becomes very important. Between juggling station demands and completing timed challenges, Train Valley 2 is a surprisingly tough brain teaser. If you’re in the mood for some train-themed puzzles, you can’t go wrong with Train Valley. After the number crunching and micromanaging of heavy-duty train sims, it can be nice to unwind with something more light-hearted and leisurely. That’s where Tracks – The Toy Train Set Game comes in. 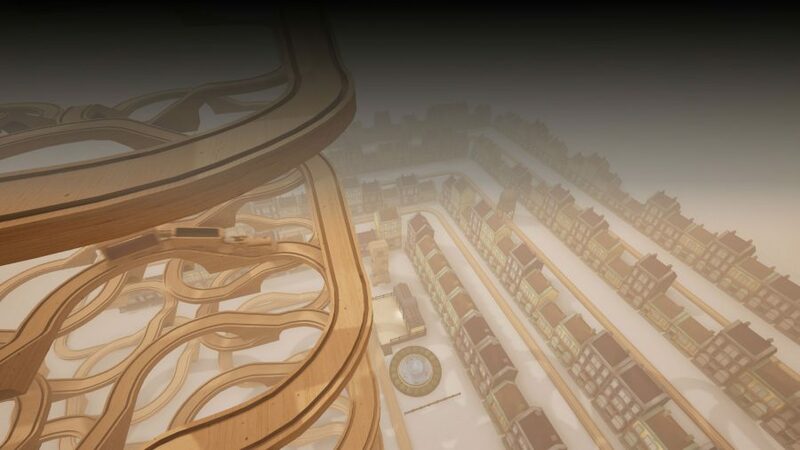 Tracks is a sandbox-style building game with no real objective other than to build the most whimsical little town you can imagine using wooden toy trains and tracks. You know, like the ones from your childhood. That nostalgia is what makes Tracks so engrossing. It’s the perfect venue to realize all the grand designs your younger self couldn’t quite articulate through toys. Equal parts charming and creative, Tracks is perfect way to stretch that dormant sense of childhood artistry. 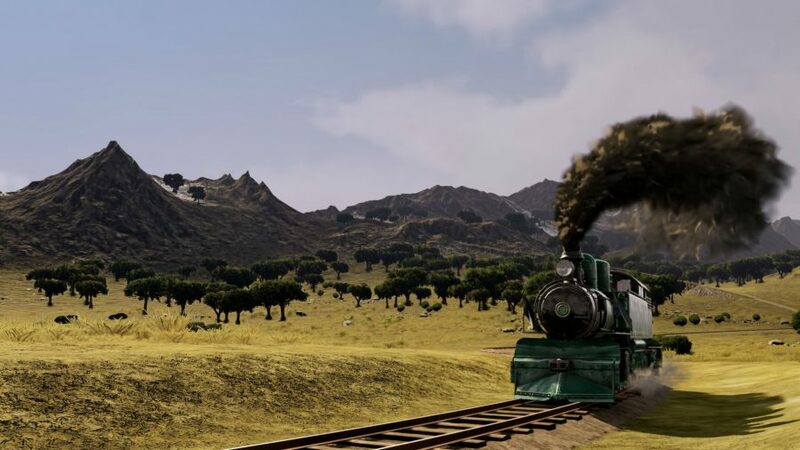 One of the more recent train sim/management games to hit the market, Railway Empire introduced a wide variety of changes to the formula established by Railroad Tycoon all those years ago. Most prominent among those changes is the ability to research over 300 technologies via a tech tree inspired by 4X games, such as new locomotives, more efficient engines, station upgrades, and plenty more. Staff management plays an important role in your burgeoning empire; you must hire and pay everyone from engineers to stationmasters. Railway Empire also gives players the ability to sabotage the competition through the use of espionage, leading to some devious tactics. It’s relatively rare to see new train games in the classic Tycoon style, and Railway Empire’s additions to the formula make it worth the wait. As you can see in our Metro Exodus PC review, this is as much a train game as it is a survival horror scare-’em-up. You’ll meet plenty of nuanced characters during your journey across nuclear war-ravaged Russia, but the most important character is the giant, steam-belching metal one that takes you through it: the Aurora. This locomotive will be your abode throughout the series’ third outing, and you’ll extend it as more survivors join you in your quest to seek a more picturesque home than the stuffy underbelly of the metro. You even get to drive an Aurora extension back to your mobile base – you have to escape a massive mutant whale and a slew of Humanimals, but it’s totally worth it. 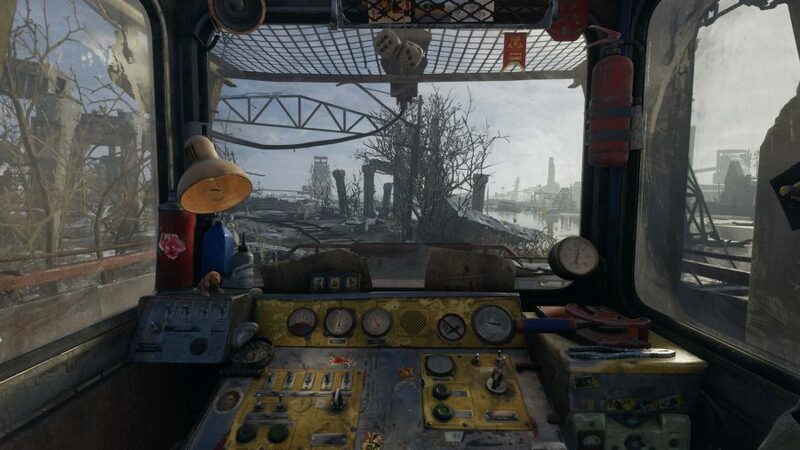 Prepare for the Aurora to change significantly from when you first ride it up to the different Metro Exodus endings. The more your expand your motley band the more homely the Aurora becomes. You can while away the hours between monster-infested destinations by jamming on the guitar, sharing meals and beers, and having a smoke with your father-in-law, Miller. As the world outside becomes increasingly upsetting – and sometimes full of murderous cannibals – the more comforting the Aurora becomes. Whenever Russia just gets too much, its the Aurora that never fails to get Artyom’s arduous adventure back on track. Train games have a long and storied history in the tabletop realm. In fact, there’s an entire genre of board game dedicated to building tracks and running trains. And luckily, two of the best are available on PC. Ticket to Ride is a modern classic in terms of board game popularity. Players must connect cities via routes. Each route is assigned a different color and you must discard matching cards from your hand to place trains along that route. Building routes scores points, as does having the longest connected chain of trains at the end of the game. It’s a quick and simple board game that translates very well to PC. 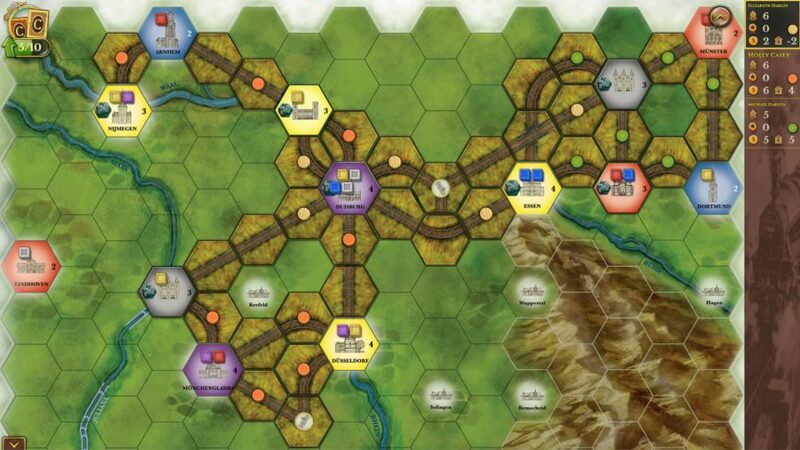 Steam: Rails to Riches is a bit more complicated, but no less entertaining. Here, building routes is only part of the experience. Players must also deliver goods of various colors to matching cities, as well as manage a budget and participate in an auction for first player rights. Steam: Rails to Riches is the kind of brain teaser that fans of train-themed board games thrive on, and the PC version is great, too. Train games may lack the attention afforded to other, flashier genres like the best RPGs and FPS games, but the choices players have are no less varied. Whether you’re looking for a heavy business management sim, or just want to play in a toy box full of wooden trains, there’s sure to be a train game here that suits your tastes. So don your conductor hat, fire up the steam engine, and hit the rails.